Dewatering Screens were introduced to the North American market in the late 1970s and quickly became the standard in the aggregate industry. 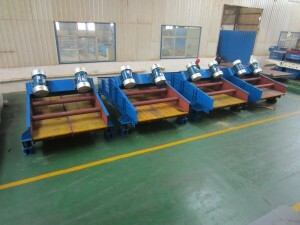 They are used for dewatering, desliming, degritting, rinsing, scrubbing and washing. Dewatering Screens offer multiple advantages for construction and specialty aggregates producers including a drier, drip-free product that other types of equipment cannot provide. LZZG dewatering(sieving or sifting) screens (for mining, coal and coarse filter) have the highest capacity in the industry.